Everyone wanted a new Metroid at this year's E3, and Nintendo has delivered one - but not in the form you might have wanted. Metroid Prime: Federation Force is a 3DS multiplayer title coded by Next Level Games which features four-player co-op missions - online or local - set in the Metroid Prime universe. Remember Blast Ball, the mystery game which was shown off during the Nintendo World Championships? That's actually part of this package. Federation Force is coming next year. How do you feel about this one? Were you expecting something grander? Let us know by posting a comment. I wanted a classic style Metroid, but honestly it's been so long I'll take anything as long as it's good. What are you doing Nintendo give Samus the game she deserves or sell the Franchise to someone who can. The cringe in this Direct is off the charts. Nobody wants any of this except Star Fox. See, Sony heard what people want and are delivering it. Nintendo hears what people want and just make whatever garbage they feel like. It is why they deserve to fail. 4 player co-op missions sounds like fun! I hope we'll get some nice Hunters cameos! Can't really call that Metroid Prime, or really Metroid. It's like they needed an excuse to make an FPS and tacked on the Metroid Prime name to get more sales. Might get it if it's a cheap eShop game, but not paying full price for it. 4 player co-op is what Ninty does so well, I'll have to give it a look. The f did I just watch? Definitely not what I wanted, but oh well, just bring it and we'll check. Retro didn't show up at all in the direct, correct? I definitely do not want this. Nintendo killed it again. The only disappointment is Metroid, I feel like we have been trolled big time. It was smart to team up with Skylanders though, they better have enough amiibo stock however. Shocking!!!! Metroid is about isolation!!!! What Metroid fan wants to play something called Metroid Blast Ball!!! The whole presentation left me seething with rage!!! Awful!!!!! Not one BIG reveal!!! Really have lost me with this crap!!! Of course Im buying it. How could I not? It looks fun! @AVahne It's more they want to expand the Metroid Universe. By your logic all those Non main series Mario games are also not mario games. The Metroid franchise is beyond dead. Water Warfare on WiiWare looks better than this Federation garbage. This was an epic fail. Where's Metroid 5? Even Metroid Prime 4 would have been great. What the hell have they done to this franchise? It's not even Metroid, so I can't be disappointed. They just slapped the name on it. @NinjaWaddleDee It was underwhelming definitely. It was kind of inevitable since last year was so great, this year sucked. Sony had the opposite effect. What the **** are they doing? Is this really what they use Metroid for? This reveal was the pinnacle of the word "anti-climax" for any Metroid Prime fans, mysef included. There can be flame wars all over the Internet over who won this year's E3, but one thing is for sure: Nintendo won't come up in those conversations. The 3ds co op games for both the Zelda and Metroid series have rubbed me the wrong way. Not big into co op, so these are not for me. Love the series, dislike the new 3ds games. Wait!? This is what Next Level Games have been working on? I... I'm now feeling the disappointment. I mean, the idea is cool, I've heard people suggest a game where you play as the federation before, but there are many other things I'd prefer Next Level Games to be working on. That said, perhaps they are working on a Wii U game, and it's lack of a reveal was due to it being a 2016 game. I feel that might be why we didn't see a lot of things. Horrendous E3 from Nintendo. This Metroid game is embarrassing. Didn't they learn from Metroid Pinball? Worst Nintendo E3 ever, by far. I'll take anything co-op on the 3ds outside of monster hunter. But they could of left out the metriod name lol. A very underwhelming presentation. To stick Metroid Prime onto that 4 player chibi game was an act of desperation I think. Where the hell are Retro? What the hell have they been working on? No Zelda? Cool- but they NEEDED Metroid to redeem themselves and sustain the fragile gains in success of the Wii U. Starfox ain't got the WAW factor, that's for sure. I have to agree with the majority here; this was a DIRE E3. It's not even a case of expectations being too high. I'm working away at the moment, and I lied and said I had a dental appointment to get out of work early to go and watch that hunk of crap. I wish I hadn't have bothered. So this was the rumored Metroid title for 3DS. I like the premise. I wanna see more of it though, maybe with the Treehouse. I have to say that this is a huge letdown. People have been asking for a return to form with Metroid for a long time and Nintendo refuses to deliver it. They just keep taking the franchise in these inexplicable directions. They just will not listen to their fans. They refuse to give people what they want. The fact that they are calling this game Metroid is absurd. My only question is: where is retro? I'll still get some of the lame games announced at the direct like his one but that direct was terrible. Just very boring, the only thing that was there that people asked for was Star Fox, everything else was just done wrong, that goes for Animal Cossing, Paper Mario, Zelda, and this. Sure some the games look nice but it was nothing but spin-offs. This looks like a cheap shovelware game. Those graphics are sub-DS quality. Ugh. Metroid is probably dead. Microsoft come and get me I have had enough disappointment now!!!!! We barely saw anything about the game. How can people hate it already? Lol. I say it's too early to make any big judgements on the game and shove it off.It's honestly interesting to me that they're doing a Metroid game from another perspective.Like this could be some kind of prequel to Metroid Prime 2 involving the Federation soldiers who all died off before Samus showed up in the game. I should also note that this is most likely a one-off game that is being made while Retro or someone else is developing a Wii U Metroid game that wasn't ready to be shown off at E3 yet. I really don't know what to say, this e3 was as bad as the Wii Music one, and that was really low. How can you be so terrible? What happened Nintendo? This looks horrible, a backwards step! I've got to be the only one excited about this(or at least the only one who isn't calling it crap despite not playing it at all). I called this straight away! I'm sure most people did though. Blast Ball was clearly Metroid, but I didn't think they'd just go 'Hey, it's actually METROID BLAST BALL', so made sense it was 'part' of a new Metroid 3DS game. @Marshi totally agree. I took my lunch break to watch it and I'm just sat here thinking, this is IT?? Cause if a game looks like poo, it usually is. and this is a Metroid that looks like something out of Nintendo Land. Agree with most of the above; was very excited for this presentation for a long time and feel it was a huge disappointment. Absolutely none of the new reveals excited me. I'm sure Marino tennis, this 'metroid' thing and the co-op zelda thing will play well. I'm just not particularly interested in any of them. This was some pretty epic trolling. What a fall from last year. Wow so mutch Negativeaty here.. how about Giving the game a go befor bashing it.. besidesa G Fed game has been wantedfor years - letalone this is probably like Prime Hunter witch i loved only with Co-Op AND befor someone whines at me I HAVE PLAYED AND DO OWEN EVERY METROID GAME and have 100% All but 1 game. my only gripe is the Visuals im hopeing its only as its a Erly bild of the game and saying its 3DS/CO-OP/Onile as a Excuse is Bull considering Monster Hunter Ultimate 4. Interesting how Miyamoto said at the very start of the Treehouse that the Direct concentrated on 2015 and early 2016 only, but it was hard to shake the feeling that Wii U is being wound down. The Muppets brought the only smile to my face. Disappointing on a massive scale. This game's got potential, but still... what??! And where the heck was Retro? I'm trying to keep an open mind but this is underwhelming at best. Not even close to a Metroid game that I wanted or expected. I'm still going to get it and play it and hopefully enjoy it. Disgusting, probably free 2 play! Having the first post-Other M Metroid game be that is about the dumbest possible thing they could do. Who needs Samus Aran when you can have these generic space fighters with arm canons? Dear Nintendo: Stop the madness now! Stop IT! So lemme get this straight... We ask for "Metroid": Single-player experience with awesome power-ups... and we get what looks like a HALO KNOCKOFF??!!! SERIOUSLY???!!! To be clear, I'm sure this will be a good game in its own right, but it is not Metroid. If it didn't have the Metroid name arbitrarily attached to it I really doubt people would be so disappointed. Are they the final graphics? It looks like development graphics to me. Hopefully it'll look better over time. Next Level? So what is Retro working on? Weren't we promised we'd see it at this year's E3. I'm so disappointed we get this in lieu of a real Metroid game. Having said that, I'm sure it's really fun. I'll probably buy it. Nintendo is so out of touch it's unbelievable. They took what is considered to be the worst in the franchise, and went with it. Metroid you deserve so much better. I have a lot of respect for next level games, so I have a lot of hope for this. Probably very early being a 2016 release. Still a 4 player coop shooter in the Prime universe... Be interesting to see if it has puzzles or what form this takes. They basically took every franchise i wamted to se and made a game that I absolutely have no desre at all to play. Guess they're keeping the next real Metroid game for the NX. I'm not 100% sure about this one but Next Level usually makes great stuff so I'm sure this will be fun even if it's not exactly what we where hoping for. @DrDingus that is correct. Were diaappointee because his meams we wont get a normal metroid. The game will be fine but its not what we wamted and its the icing that says no metroid coming. I really thought, after the relative success of last year's show, that Nintendo had learned how to fight back and win support from its fans. To withhold Zelda U, without anything big and new to get excited about to replace it, is one bad PR decision too many. I hope Nintendo fans let Reggie know how truly unhappy and underwhelmed they felt with this year's show. Mollycoddling them and defending them is doing nothing to help Nintendo. If the Nintendo World Championships hadn't been so successful, this surely would rank amongst Nintendo's poorest E3 shows since the final dying days of the Wii. This is likely to be both the best AND worst thing to come out of a new Metroid Prime reveal at e3. I mean it's not a super epic HD mature type of Metroid game, but as a spinoff it looks to be a fun one, and leagues better than Hunters. Plus even if people hate the look of the game they'll buy it when it comes out... same thing happened to Wind Waker. Also shocking that Microsoft conference had exactly the same amount of Metroid Prime in it as Nintendo's presentation. @HappyMaskedGuy Somebody call the wahmbulence. This was the worst reveal. What a waste of the IP. No one wants this, they want a real Metroid! Why??? This makes hardly any sense. Why put the Metroid brand on a game that looks like shovelware? I know we haven't seen or heard very much about this but if your gonna tease a Metroid game atleast make it a Metroid game and not another game with the Metroid name seemingly slapped on. Would have been much less annoyed if they left Metroid out of this altogether. Oh, wow... People are actually defending this? So basically this is the Halo Wars/ODST/Reach of Metroid games, considering you don't get to do stuff as Samus. Well, at least the 3DS has a shooter. One by Nintendo, I mean. Maybe with Splatoon on WiiU they thought 3DS gamers felt left out? If you were impressed by that presentation, more power to you, pal. Between this and Star Fox I'm not sure which is more underwhelming. Gotta lol at people based on comments. Nintendo is also working on QoL, mobile and NX. They already said there won't be that much. Expectations are totally unreasonable. They don't care about Sony or MS.
Sony are still effectively bankrupt and MS are going back to core... Which is not gaming. Wind Waker sold horribly, considered a bust at the time and it was considered one of the best Zelda games only years later after its release, and it truly is a great game. This not so much. Not even Samus related, you get to be the people Samus finds fried on the missions she goes on. Yeah, the direct was not the best. Basically all the new reveals were spin-offs. Still, I am always amazed at how fickle people are. They see something that doesn't fit what they expected and they're like "Freak out! Never buying Nintendo again!" Seriously, calm down everybody. There's plenty of good stuff on the way that we already knew about, and they're clearly deferring some ideas for the next generation. Go play Splatoon and take out some of your rage on some inklings. This game looks pretty meh, not really worthy of the Metroid Prime brand. Hopefully this isn't all we get from Metroid this gen and it's just an extra spinoff to bide our time. It looks like it will be a fun game, it's not the Metroid i wanted but i'll take it. I always wanted Nintendo to do more spinoffs so i can't really complain. The trailer barely showed much gameplay, but it does look at least interesting! I was honestly excited with the trailer, though I agree from what we've seen it doesn't seem like a "true" Metroid game... I just hope co-op is just an option and not a requirement to play the game. I'm sure this will be fun, but you can't make a spin-off when the franchise has been inactive for years. Might be fun, but not at all what I wanted. I know that I'm not alone in this. The internet is on fire! Nintendo, when I asked for more Metroid, I did not want chibi multiplayer Metroid that looks like a DS game. "And games you didn't know you wanted"
More like games we didn't know we didn't want. I think we all agree that a Metroid-proper title would have been ideal but this will appease the Hunters fans for sure. No doubt I'll check it out when it releases but there is undoubtedly still a massive void to be filled. looks pretty weak, but it deserves a chance. but is retro on this? if not, what are they up to? I'm glad Next Level Games is at the helm, definitely not the Metroid game I was hoping for but it looks like it can provide a fun time. I don't understand how they can just slap the Metroid Prime name on this...thing with a straight face. Am I the only one interested in this? It looks fun, and as long as it has a sizable single player component, I'm good. Not really that bothered about Metro but I would be willing to buy a proper Metro Prime on the Wii U. However, this doesn't surprise me. Anyone with half a brain cell can work out that developing games on the Wii U is now being toned down. This whole E3 will be about new games for the 3DS and Nintendo Wii U games we already know about. Any new announcements on the Wii U will be third-party shovelware. I said it before and I will stick by it. NX in 2016. Let time prove me wrong. My 1st Metroid....by Fisher Price! Awful Nintendo, just plain awful. Okay...let's just see how this goes. @Kinglamer Sorry they went for the chibi look... would you preferred that they left you another year without a without a Metroid? @Mus1cLov3r Great. Lovely. Take a look around the web today, you are a microscopic minority. Although it was clearly not the game we were anticipating, it still seems fun. Yes, the main characters should've been Samus and yes, Nintendo shoud've focused on a 3D Metroid Prime for the Wii U; however, I think Metroid Prime: Federation Force is a solid successor to Metroid Prime Hunters on the DS. This does not look like Metroid. They should have given it a different name and made it a new IP. The gameplay doesn't look that appealing to me. Honestly, I was quite perplexed by this game initially, but after watching some of the game play, it looks like it will be fun to play. Is it the Metroid we were waiting for? No, but I do believe that that it will be a fun title. Plus, I have faith that this is just an interim title while the next true Metroid is being made. I'm not a big Metroid fan so I suppose I can't say for certain....but I can understand why the fans would be unhappy with this. It doesn't even seem like Samus will make an appearance. It might as well not be a Metroid game. Hmm.. Might be better than expected if Next Level is developing it. I hope it has a good single player campaign, then I might consider it. The NWC moment of Blast Ball is pretty cool, it had some boring moment (as with any soccer match btw) but the last second goal is awesome. If there is any title in the entire back catalogue that is a prefect fit for Wii U, it's Metroid Prime. Exploration and mapping, scanning, changes in perspective, visor effects, you name it. It was all crying out for at least an HD remaster, but not this. Wow, what a slap in the face. Lame E3 presentation Nintendo! 3DS Metroid? Yeah, that sounds great! 3DS Multiplayer Metroid? Hunters was pretty good for the time, so still interested. Generic, super-deformed artstyle with few hints of Metroid gameplay? Go jump in a lava pit without the Varia Suit. "We barely saw anything about the game. How can people hate it already? Lol." It's probably not so far in the production phase, therefor they couldn't show more. I'm excited that we all got the Metroid confirmation we have been waiting for. They atleast confirmed a Metroid game being in the production. And for the New 3DS owners it's great with the Prime kind of Metroid. Let's wait till we have seen more of it, and if it turns out to be a great Prime game, those 3DS owners who didn't upgrade to a New 3DS yet will more likely do it for this game. Why? Just Why? Why in the world would you create a Metroid game that doesn't feature Samus or any of that awesome gameplay?? I've never owned a Metroid game and I was really hoping that Nintendo would create a new Metroid game for the 3DS so I could try it! And then we get this. This thing is just so stupid. @Konda They showed a bunch of gameplay during the Treehouse event, and (in my opinion) it looked nothing like a Metroid title, and looked like a generic eShop shooter. Definetely not what I expect from Metroid but it looked like a fun multiplayer title to play with my friends. @themac2001 I wouldn't doubt it. @Technosphile So? You said that "[n]obody wants any of this except Star Fox." Last I checked, a small minority counts as bodies, regardless of their number... And I frankly don't give a crap if I'm in a small minority; how does that have a thing to do with it? What an insult this is. The gall of Nintendo. Sports in the Metroid universe are... bizarre, to say something. I wonder which team Ms. Aran roots for? Seriously, what did Metroid fans do to ever deserve this??? LOL, that YouTube video has over 10,000 dislikes and just a thousand likes. To be fair, the Metroid universe was pretty much asking it to have various spin offs to begin with. Well, after seeing the Treehouse presentation, it does, indeed look like some good fun co-op gaming. The look is weird. Almost chibi-metroid prime and the tie-in questionable, but the game looks solid, in my estimation. It would be fun if in later levels it tied-in with Samus doing stuff in the background and you could just help her from the sidelines. She needs to be super cool again. Thing is, I'm just not that into my 3DS. @G_M You appear to be new here so let me be the first to inform you that THAT is not how we treat people here. There was absolutely no reason to say that to @Volmun (who's first language IS, in fact, English, I know him offline. He suffers from severe dyslexia). Why does a persons first language matter as long as people are able to understand said person anyway? Besides which, there's a very obvious difference between people who don't speak English as their first language and people who do yet have difficulties with their spelling/grammar, I suggest you learn the difference as well as how to treat others as you would like to be treated. It also appears you even went so far as to make an account JUST to say that then go on to make a ridiculous remark about the articles topic with literally no elaboration or intelligent points, unlike my friend who you greatly insulted. That's just sad, it's idiots like you who deserve that treatment, not the innocent, relatively intelligent ones who are simply trying to lead as normal a life as they possibly can. That video is weak, though. Really doesn't show the game play well. Treehouse saved the day for me on that. How about a real attempt Nintendon't? Anyway on topic, I thought this looked like a nice bit of fun despite the fact I don't enjoy FPS'. Sure, it's not a 'proper' Metroid game but I don't see the problem. Maybe it's a spin-off? Maybe they only showed a few small portions of the overall game? Maybe it's still nowhere near finished and they're gauging reactions to determine what to change and what to keep before release? @themac2001 I guess the chibi look is very off putting to me, just lacks the style of prime or even any of the gba titles that I love!the lack of samus is also disappointing, tho Willing to check out the treehouse to see how it plays.Co op play isn't really what I'm after in a Metroid game either. What's one year after the last five!lol. I really hope they're working on the next big Metroid game and decided to throw this out before they announce it. If they announce Metroid Prime IV later on and end up releasing the two games close to one another, then I'm fine with this one as a spin-off. If this is all the Metroid we get for the foreseeable future, though, I will be highly disappointed. I guess I am the only person in the world that is really excited about this game. I think it looks to be so much fun. It reminds me a little of the Nintendo Land one which is a blast. I'm not sure I've ever been this bummed out by a game reveal. Just ripped my heart out. It's admittedly a bit unfair to Next Level Games, who have proven themselves to be a really good developer, and the game itself doesn't look bad. But as a Metroid fan, I have absolutely no interest in this. Did Jools Watsham make this game?? Looks fun when I saw Treehouse play it. Graphics and design are not immediately appealing (the opposite when paired with the Prime name) but they do seem to serve the purpose of game play. Definitely not what I was looking for in a Metroid game, though. The Treehouse people are probably just happy to be out of the basement for once. I liked Hunters, even though it should have been its own franchise guest staring Samus. A sequel to that would have been exciting. What the hell is this angry purple baboon? Looks like they took their final dump on the Metroid series. You'd think they would have learned their lesson after Super Paper Mario. Then releasing a even pretty feathered bonnet game Paper Mario Sticker Star. I guess after Metroid Other M it was finally time to release and even magical copper goblet Metriod game. Time to flush the toilet and see how good of a plunger Nintendo has to get them out of this mess. While I can't say I'm overly pleased with this announcement, I don't hate that this is being released. Obviously I'd prefer a proper Metroid game, and had one been announced, this wouldn't have been so bad. Without a proper metroid game though, this just feels underwhelming, and quite cheeky of Nintendo. Six years. SIX YEARS, and this is what we get?! I like the style, Gameplay is looking swell, and I hope some of my buddies and pals can get this game as well, so we can do stuff and more stuff!!! WTF is this!? This isn't Metroid! If this is all Nintendo will do for the franchise, then the series is dead to me. Guess I'll have to start playing more fan-hacks. @skjia a be they have no friends to play co-op? I am deeply disappointed by this. Metroid Prime: Hunters was amazing; this looks like that, but worse in every way. Like every way. I don't know what all the fuss is. Yeah it was a lacklustre e3 for Nintendo after last years excellent showing. But the metroid hate is going way too far. I've never been into any of the games, from the NES and SNES to the Prime games, nor did I play Other M which I do regret as it seemed more my style of game than the others. But this Federation Force actually has me interested even though I don't play first person shooters at all. It could just be because I'm having so much fun with Splatoon that this game kind of gels with me at the moment. But wow, so much negativity about it. Honesty I would have preferred it on the Wii U as I'm not upgrading my 3DS to cater to FPS second stick gameplay. That, and my 3DS just doesn't get used any more I am growing out of it as it just doesn't do the things I need a portable device to do. But I am always on my Wii U, so I am dissapointed there isn't much to show in that regard. No I don't want an Animal Crossing party game. I haven't liked Star Fox games in the past but seeing Platinum games is at the helm I'm very interested now. But no online seems weird and old fashioned, which is good for some games, but Star Fox lends itself to an online experience. Nintendo just can't seem to get it right. They needed a Shenmue and FF7 moment and came nowhere near that close. Nintendo just don't have the teams to create the great big games they need every year to succeed. It's all filler fluff. Mario Tennis, and other party spin off fluff doesn't cut it. An open world adventure game featuring amiibos would be a good start. Not delaying Zelda would be another. Have F Zero and amiibo's that unlocked tracks as you collect the toys. A full on console main series Pokemon game with amiibos would be Nintendo's big show stopper if they actually listened as they say they do. Not to mention the biggest money maker that could ever ever ever happen out of any toys to life series to date. They surely can see what new IP can do for them after as Splatoon doing so well on the struggling Wii U. What goes on in their heads when they see something like that, and go "well, if they like that new IP, let's give them more Mario spin off junk"
Anyway enough ranting and joining in on the bandwagon, except for the MP:FF. I'm hoping it will turn out good even for a normal 3DS to play on. Should be heaps of fun in multiplayer, and next level games are a pretty good studio. One more thing, what are Retro doing? Imagine the chaos if they showed yet another DK 2D platformer. The Internet would break. On that note. I'm done. Ooh, Nintendo! You're so funny! We asked for a Metroid game and so you gave us a Metroid spinoff! That's super clever and we're totally happy with this turn of events! Pretty sure I just did but ok.
@TheAdza "But the metroid hate is going way too far. I've never been into any of the games, from the NES and SNES to the Prime games, nor did I play Other M which I do regret as it seemed more my style of game than the others. But this Federation Force actually has me interested even though I don't play first person shooters at all." Federation Force isn't Metroid. It isn't about exploration or isolation. It's just a 4-player co-op FPS with the Metroid label duct-taped on as if the franchise supposedly fits that mold. Nintendo doesn't know what the hell they're doing with Metroid. this is a spin-off and maybe they did what they did so that they show off an actual metroid game in a near nintendo direct or i could be wrong and this is the only metroid we get. Does that really matter though if it turns out to be a good game? That's what I don't understand. I understand there should be uncertainty, look what happened to Star Fox Adventures when it went off the beaten path, but there sure are a lot of other spin off games that have done well for themselves. Nearly all great Nintendo games like Mario Kart and the Super Mario series 3D and 2D experiment with all sorts of gameplay. The paper Mario series it quite good. The Mario and Luigi series is also good. I just think it's rough to give the game a hard time. Give the presentation a hard time sure, but the hate toward a game that actually looks like a lot of fun and could turn out quite well, just because it doesn't fit in with the classic themes of the main series, which it obviously isn't trying to recreate being outlined as a spin off and all, it's a bit unjust. And bandwagoning. Time to buy a PS4. Well hello, I only have made this account for this topic. Now I don't know what to think is going to be Metroid. I'm sad and my soul is broken. It's not unjust when old Metroid fans have been asking for something in the same ilk as Super Metroid, Prime 1 or Zero Mission since Prime 3. Nintendo tried to give us that with Other M, but failed miserably because they didn't know how to recreate those types of games. We didn't ask for a spinoff. That's why there is backlash. Hell, Nintendo already has a multiplayer shooter with Splatoon, they could've easily ported or made a second game for 3DS that I'm sure those fans would love. So Next Level Games wasted their time on THIS!? @Al_Godoy I can't express how I feel about this game... This is like burn all Metroid. Metroid is about isolation and adventure... Why? Just Why?! R u kidding me! Thanks for a big let down Nintendo! Get back to the classics. U guys stink right now. How dare u disrespect the franchise of Metroid. It was originally going to be called Dinosaur Planet Hunters, but Nintendo flipped it at the last minute. This was one of the daggers to the heart (AC game on Wii U being another) that just left me confused and frustrated. @TheAdza I see what you're saying, but Star Fox Adventures worked so well for me because the artistry in the game was gorgeous. This looked like an update to Faceball 2000 from the clips. I'm thankful there are at least some rational members in the comment section. I get it. People want a proper Metroid, SO DO I!!! But this bashing of perfectly legitimate games simply because it's not the one you had on your imaginary wish list has got to stop. People did it with Other M, with DKC Tropical Freeze, and they're doing it now. Any time any game that has anything to do with Metroid or it's devs is announced and isn't exactly the kind of game people wanted, they trash talk the game like it's garbage. No, I don't exoect this to be "the next great Metroid". But you know what? It DOES look like a fun game. At the very least it has the POTENTIAL to be a fun game. I'm holding off judgment until I see the campaign for Metroid Federation. I think it can be really cool. When does it take place? Remember after fusion Samus is on the run FROM the federation. Are we chasing and trying to kill Samus Aran as a team in this game? That would be twisted and awesome! After I realized it wasn't a true Metroid title, I will admit my reaction was "WHAT THE **** IS THIS!?!" and to be honest, I'm still saying that. Doesn't mean it'll be a bad game though. But IS there a story mode or is it just.... whatever this is? I've been looking into this a bit more and I'm actually slightly interested. The main complaints I've seen are that it is a Metroid spinoff instead of a main series Metroid game and that it is keeping Nintendo from making a main series Metroid game. As for the first complaint, I really, really doubt that Nintendo's thought process was "Our vocal fans want a Metroid game...Let's make Federation Force!" More likely, it was "We should make a co-op game for 3DS. We don't have any shooters...How about Metroid?" It isn't like they have many franchises that involve shooting things. As for the second, this is being developed by a second party developer, Next Level Games. They made Super Mario Strikers and Punch Out Wii. They also helped with Luigi's Mansion 2. They seem like a talented dev team that can be trusted with spin-off games like this, but not so great that they can be trusted with the keys to the most popular Nintendo franchises. They aren't stopping Nintendo's first party franchises from doing anything. Myself, I can't ask Nintendo to use two of their overstretched dev teams on two blockbuster games that probably won't break 2 million sales at the same time and they already are making a Star Fox game. Something that was asked for by just as many people, if not more. Metroid sales historically aren't anything to write home about, sadly. A Metroid game without Samus? I'm shocked! They should've at least made a Metroid Prime Hunters remake with online, better controls, and more content. I would've been more excited for that then Federation Force. This looks like 3rd party shovelware. Sorry Nintendo, but you really messed up this time. Way to go. Oh, and there already exists a petition to cancel this game. And it's succeeding. I'm still waiting to see my Zelda game without Link, thank you. And yeah, that would be great. I know no sarcasm. No, really. I think I've seen more positive comments on a YouTube video. Maybe just try to have fun with this. I'll probably enjoy it for what it is... I mean, Retro still has a project under their sleeves for us to look forward to..
That petition to get the game cancelled is ridiculous. Does anyone understand the fact that it's a spin-off and not a main series entry? As a big fan of the series; to say I was disappointed from the reveal would be an understatement. look, i too was disappointed with the digital event, but e3's not over, and i think nintendo's shown they're not always about playing their cards up front... i think i'm gonna reserve judgement on the outcome of e3 until i see what they've fully got in store for us. in fact, and come to think of it, i wonder if nintendo realizes that what they tend to do is undercut us as a fanbase with their decisions... i'm not sure they realize that we're trying to engage with our friends and family (who own ps4s and xb1s). frankly, it's not unreasonable to imagine that that 31yo guy who raged has probably been talking nintendo up for a long time, just hoping to be proven right so he can look to his friends and experience just a little of the thrill that they get on him constantly. i believe it's truth that we nintendo fans live in a world where beauty ain't just skin deep, and it gets really tough to defend and justify what you see in ninty's world when it takes a lot longer to explain what that really is to your community (especially through the preconceived notions of "kiddy" and "safety scissors" you constantly have to fend off). look, the only thing those other guys have to do is point at a screen and say "see? ", whereas we nintendofolk have to actually engage in dialog about the FACT that our system is not to be discarded. that's not easy over time, and i'm starting to honestly wonder whether nintendo gets that aspect of this real world "game" we play. but i still trust they will, so long as we all lebd our voice to a teasonable and rational choir. i absolutely believe they truly respect cooler heads. But I love the Mario maker. Just read an article on IGN and they interviewed the creator of Federation Force and he basically said that he wants to make a Metroid Prime 4 but wants this stroy to be told first. After watching the Treehouse presentation, the gameplay looks solid. It wasn't all that bad all thing considered, but what they showed us is still very little. Who knows, this could be big? Comes next direct, when they showed us more gameplay, background and the story, this could ended up pretty decent. I think this is the game that is set to be the "Splatoon" of this year E3, but they failed for one reason and that's because of the Metroid name slapped on it. You know, Nintendo has proven us wrong before. Back in the day, Super Mario 3D World at E3 also got negative fan reaction because fan is expecting open 3D Mario, but look at how it ended up? Splatoon was a new IP in last year E3, people reaction is positive but many downplayed it being a new IP and all, now it's holding up pretty well in sales. With this Metroid spin-off, I think it's best to wait until we give judgement, I just want to say to not write it off yet. This could be a fun game and that's all that matters. But yeah, I understand fan frustation because this game basically means main Metroid game is not in works, or at least, not in the near future until this game launched. The game doesn't look bad, but the fact that Nintendo had the nerve to call this a Metroid Prime game hurts it. I can't help but feel bad for the fans that have been clamouring for another Metroid Prime game. Can't believe they actually went through with this! 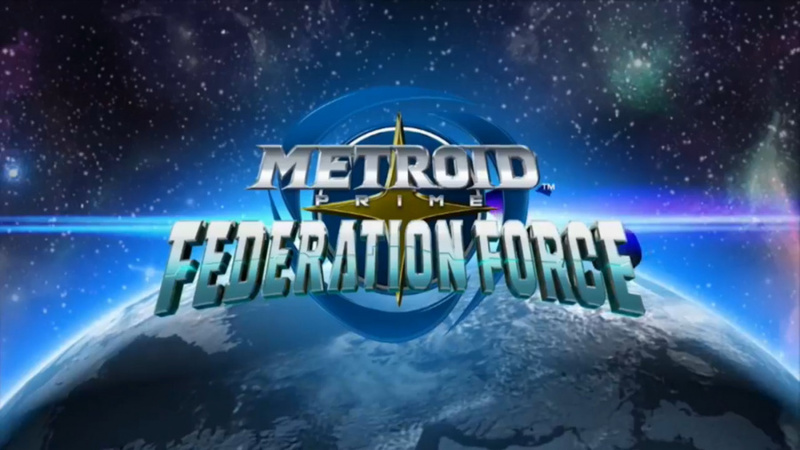 I hear some people demanding that as an "apology" they immediately cancel FedForce and make a real Metroid. No. Let it come out, watch it bomb, and let Nintendo learn what EA did with Syndicate, and 2K with XCOM. I think that Blastball would be just fine on its own. The fact that they slapped the name Metroid on the game is going to bring it down. This is sorta the reason why Street Fighter 2010 was scorned by gamers. On it's own merits, it was a pretty good game in my opinion, but it had the Street Fighter name. That ruined it in the eyes of most. Bad idea. This game is going to flop hard. When the game was announced, all the cheers that came when the Metroid logo came up were met with dead silence. You could hear a pin drop. Prime was a departure and it paid off, why shouldn't this? Based purely because it's not a "proper" metroid game, of which when was the last one that wasn't a Prime game btw, the Snes, the argument that this game is terrible because it's not an update to beloved franchise is illogical. I mean, it's not a puzzler or a party game (cough animal crossing cough cough). The game looks decent, but this is not Metroid! In fact it looks like a completely different game, and they threw it into the Metroid universe. This would have worked better if it was it's own game, and not branded as a Metroid game. Where's our Metroid game, Nintendo? You know the fans want it! We have been wanting it! We have been clamouring for it! WHERE IS IT!?!?!? @Marshi Star Fox was clearly stated to be coming out this year. Beyond that we have "Super Mario Maker," "Xenoblade Chronicles X," Zelda, and Shin Megumi x Fire Emblem, at least 5 big first and second party titles coming to Wii U over the next year. The direct was certainly short on reveals, and the Animal Crossing party game looks pretty lame, but there're still a lot of good games coming including this new Metroid game. It may be a spinoff, but it still looks really fun, and I'll certainly consider getting it depending on the reviews. @RantingThespian It's a spinoff, so what? Nintendo has made lots of good spinoffs over the years including about half of all Kirby games. We'd never even have the Mario Kart, Paper Mario, and Smash Bros. series if it weren't for Nintendo experimenting with spinoffs. There have also been some good main series titles that break the series genre mold like Zelda 2, Super Mario RPG, Star Fox Adventures, and Kirby Epic Yarn (although I personally dislike that last one), so while a new main series Metroid game would be preferable, don't just dismiss the merits of the game we are getting and claim it shouldn't have the license. @Onion The problem with Street Fighter 2010 was that it was never intended to be a Street Fighter game. The name was tacked on to the Western release in an embarrassing attempt to increase sales to the Western markets. Hey, does anybody remember the outcry when metros prime was released? People where so upset. When the game finally came out it was amazing. So before any of us says this game is garbage, why don't we wait to see what it's really like. I've got hopes for this one. @123akis Yeah it should be just "Federation Force". The game trailer has 31k dislikes on YouTube right now. The hate is real. Even SE gave the game their fans wanted, bloody hell! I don't hate it. On the surface it looks like a better solution to multiplayer Metroid action than Hunters. Using it to build some sort of sport game is an interesting idea when the campaigns dry up. Neither is this game. It's Blastball with Metroid tacked on. @Neferupitou and how long have their fans been working on that? I am so getting this! It looks fun. @Onion Yes, it is. It's still being developed with the Metroid universe in mind and contains a story related to the Galactic Federation military forces, which would lead into "Metroid Prime 4" if it ever gets made. (Blastball is just an extra mode.) "Street Fighter 2010" was developed as a completely original title, completely non-canon to the Street Fighter universe with only the Western localization team thinking it should have any relation to it whatsoever. For reasons why I don't think this is a Metroid game (and why I don't believe they even had Metroid in mind when developing it) go to the article here: http://www.nintendolife.com/news/2015/06/talking_point_metroid_prime_federation_force_and_entitled_fury and scroll down. It's not a Metroid game to me at all. As for Street Fighter 2010, as far as I know it still had Street Fighter in the name in Japan, so unless you can prove otherwise, you're incorrect. The only major change the localization team made was changing Kevin Striker to Ken. By the way, while we can always count on a main series appearance from the Big 4 (Super Mario, Legend of Zelda, Mario Kart, and Super Smash Bros.) on every Nintendo console (along with Pokémon on the handhelds), the other Nintendo IPs do tend to skip a console generation every now and then, but it doesn't mean they're dead. Considering main series titles, Metroid itself skipped the N64; Donkey Kong skipped the GameCube; StarFox skipped the Wii; F-Zero hasn't been seen since the GameCube; Kirby skipped the GameCube; Punch-out!! skipped the N64, GameCube, and probably the Wii U; and while they're more well known for their handheld titles, Fire Emblem skipped the N64 and likely the Wii U, while Pokémon looks like it may not even get so much as a battle simulator on the Wii U. @Onion I skimmed that article and didn't see anything about the development of the game. As far as we know, it contains a storyline heavily related to the Galactic Federation, so it's just as much a Metroid game as "Metroid Prime: Hunters" just without featuring Samus. Well, you're correct about the title of "Street Fighter 2010," but unlike "Federation Force" the original Japanese storyline has no connection whatsoever to the other Street Fighter games and would indeed be better off without the IP name. Said connections in the Western release were shoehorned in by the localization team. I meant the comments section, sorry for not clarifying that. I made a rather large post on the subject near the bottom and I don't really want to spam it here since it's a little lengthy. I detailed 6 reasons why I felt it had little to do with Metroid, I just don't want to repost here. It's a little buried by this point but it's down there. Somewhere. I obviously don't know what went down when the game was made but based on the research I did, this game has about as much to do with Metroid as Halo does. Horrible idea. What are the thinking. That video looks like a bad remake of something like unreal tournament from 15 years ago. Definitely won't by buying this load of crud. Nintendoland's "Metroid Blast" is indeed really fun to play. I have reservations, but I want to play "Federation Force" before judging. Co-op missions sound fun!